HDR, also known as high dynamic range, is an awesome feature that too few get to experience. It adds a deeper level of contrast and far richer colors than you’re probably used to seeing outside of a movie theater. Thankfully, Google is now looping Google Pixel, LG V30, Samsung Galaxy Note 8 and Sony Xperia XZ Premium owners in for the ride. Oddly, the newly-announced Sony Xperia XZ1 missed the boat on this – at least for now. We recently had the chance to try out the new feature on the Note 8 and activating it couldn’t be easier because it’s automatic. 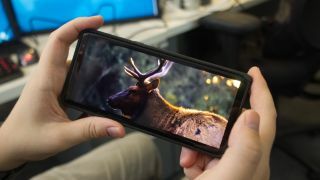 If your phone is compatible, YouTube will play compatible videos in HDR without any input from the user. To get started, Google supplied us with a selection of links to test out HDR on your device. There’s plenty of content waiting for you over at YouTube’s collection of 4K videos. Some highlights, as Google points out, are Venice Carnival, The Redwoods and Peru. The biggest complaint we have about the burgeoning technology is the dire lack of HDR-ready content available. But given that YouTube is the largest platform for video this world has to offer, that will hopefully be less of a problem moving forward.